Aarsleff Ground Engineering were awarded the piling works from main contractor Winworth Construction Ltd on behalf of client Helena Partnerships, part of the Torus group. The project is part of the Torus Group’s plan to develop 1200 affordable homes in the North West by 2020. The development will see 104 2/3 bedroom homes, in which 64 will be available for rent and 40 for sale through shared ownership. Specifically, Aarsleff designed and installed 200mm square precast concrete pile capable of carrying loads up to 350kn. 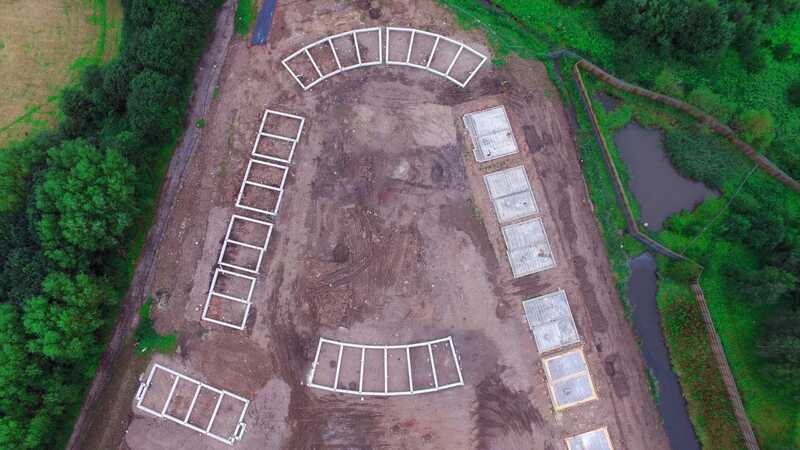 The groundbeams were a 450mm X 450mm square profile, which were formed in reinforced precast concrete with interlocking ends to product a finished foundation.